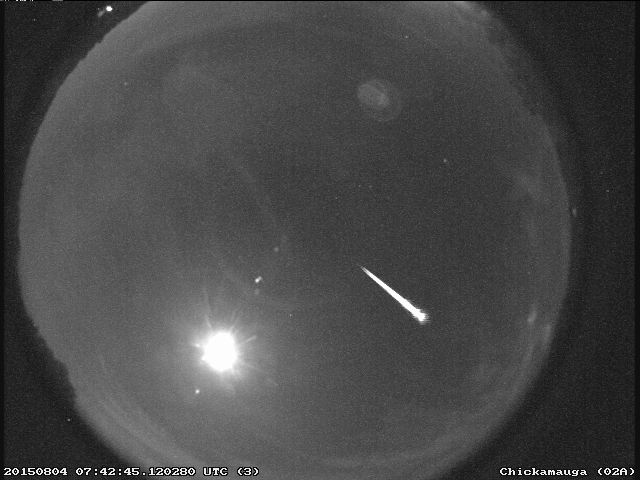 Perseids Are Already Zipping Across the Sky! 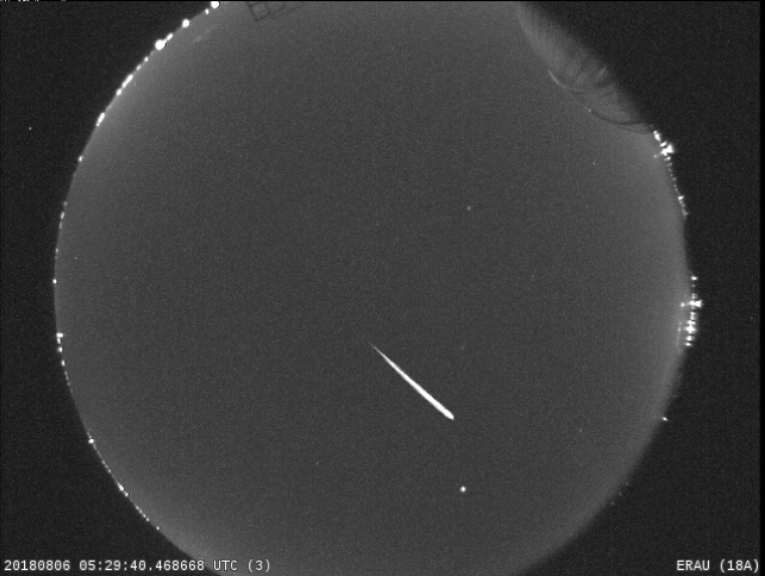 The Perseids are ramping up! 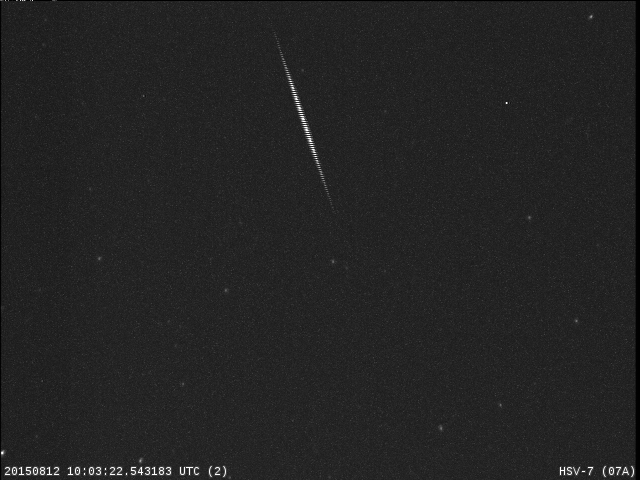 Here’s a Perseid meteor captured by the NASA All Sky Fireball Network on August 4th. The shower will peak the morning of August 13th. With a near-new Moon, we may get a good show that morning! 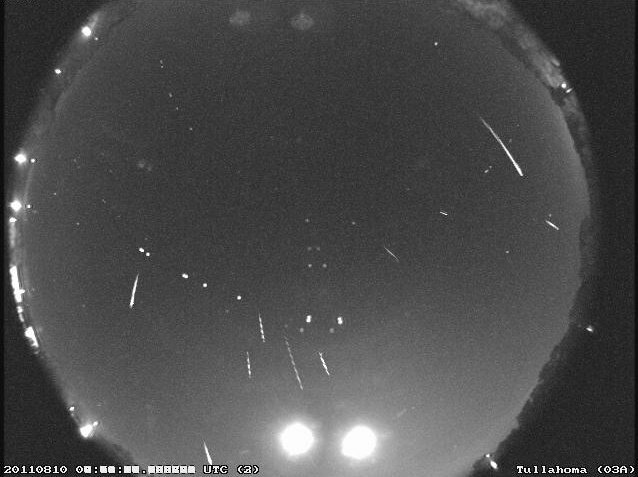 Author Marshall Space Flight CenterPosted on August 10, 2015 August 10, 2015 Categories MSFC Meteoroid Environment OfficeTags all sky meteor camera, Marshall Space Flight Center, Marshall Space Flight Center Meteoroid Environment Office, meteor shower, NASA, Perseids meteor shower7 Comments on Perseids Are Already Zipping Across the Sky! 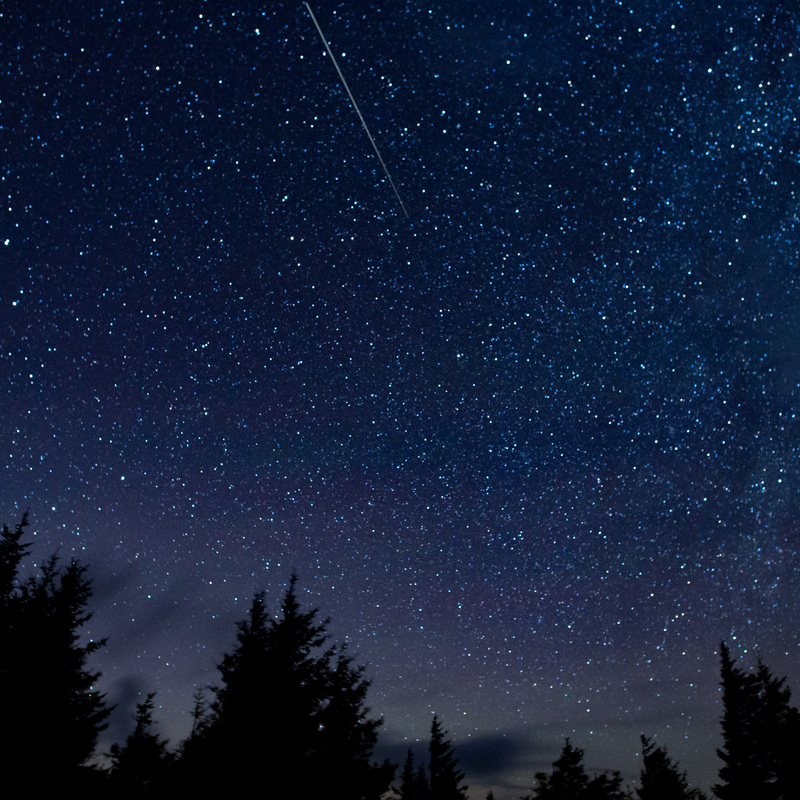 The best opportunity to see the Perseid meteor shower is during the dark, pre-dawn hours of August 13. 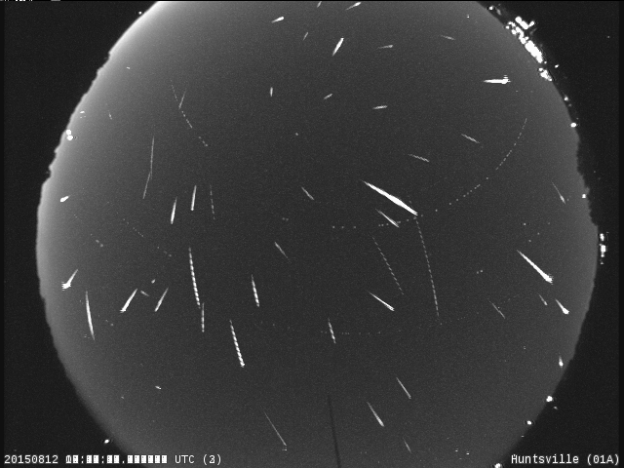 The Perseidss streak across the sky from many directions. For optimal viewing, find an open skyline, where you can view the horizon without obstructions, such as buildings or trees. 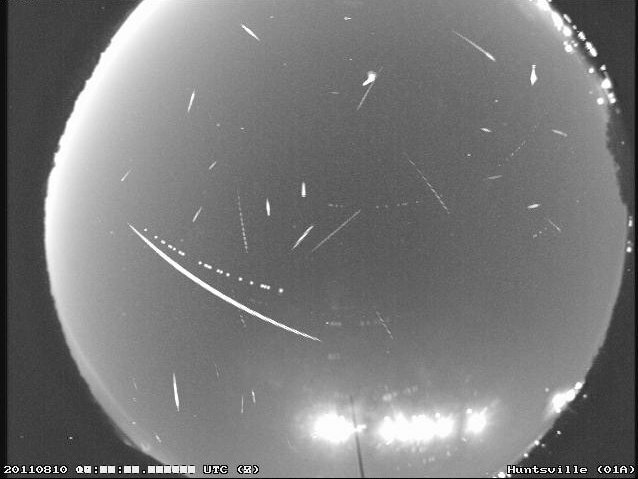 Try to view the Perseids as far away from artificial lights as possible. The darker the sky, the better viewing experience you can have. Lie on the ground and look straight up. Remember, your eyes can take up to 30 minutes to adjust to the darkness, so allow plenty of time for your eyes to adjust. The Perseids have been observed for at least 2,000 years and are associated with the comet Swift-Tuttle, which orbits the sun once every 133 years. Every August, the Earth passes through a cloud of the comet’s debris. 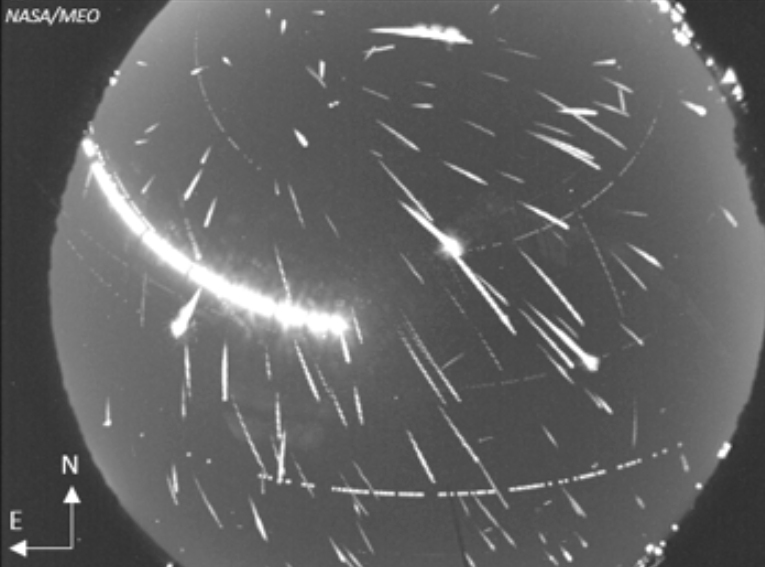 This debris field consists of bits of ice and dust — most over 1,000 years old — and burns up in Earth’s atmosphere to create one of the best meteor showers of the year. 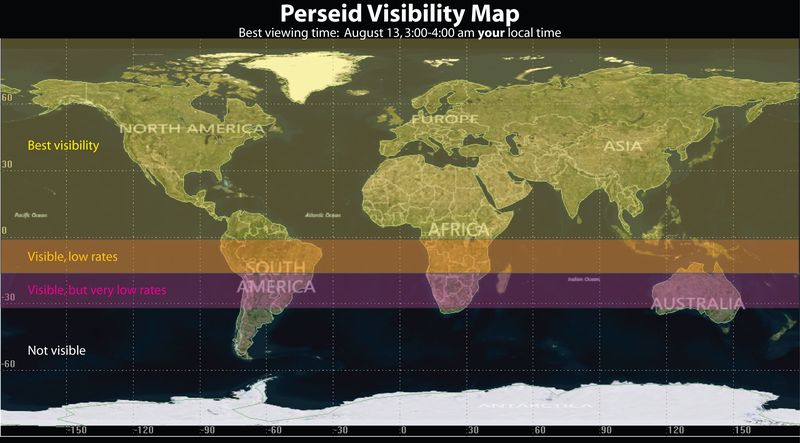 The Perseids can be seen all over the sky, but the best viewing opportunities will be across the northern hemisphere. Those with sharp eyes will see that the meteors radiate from the direction of the constellation Perseus. Special guests will include meteor experts Dr. Bill Cooke, Danielle Moser and Rhiannon Blaauw, all of NASA’s Micrometeoroid Office, located at Marshall. They will provide on-air commentary, as well as answer questions online, using Marshall social media accounts. Also scheduled to join the broadcast, via telephone, are experts from NASA’s Johnson Space Center, in Houston; NASA’s Goddard Space Flight Center in Greenbelt, Maryland; the American Meteor Society; the SETI Institute in Mountain View, California; and others. North America has a pretty good seat for this cosmic event. 1. First, check the visibility map to make sure it’s visible from your location. 2. Then check the weather – if you are expecting clouds, then Mother Nature has just rained on your parade and you won’t be able to see any meteors from outside your home. However, we will continue to stream clear skies here overnight, trying to find the best view of the night sky from our network of ground based telescopes. 3. If the weather gods are smiling down upon you, find a safe, dark location – away from city lights and lay out beneath the stars. You don’t need to look in any particular direction, just straight up, but away from the moon. 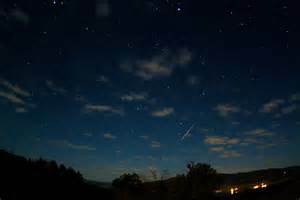 Meteors can appear all over the sky. 4. Add a lawn chair or sleeping bag and some snacks and you should be set! 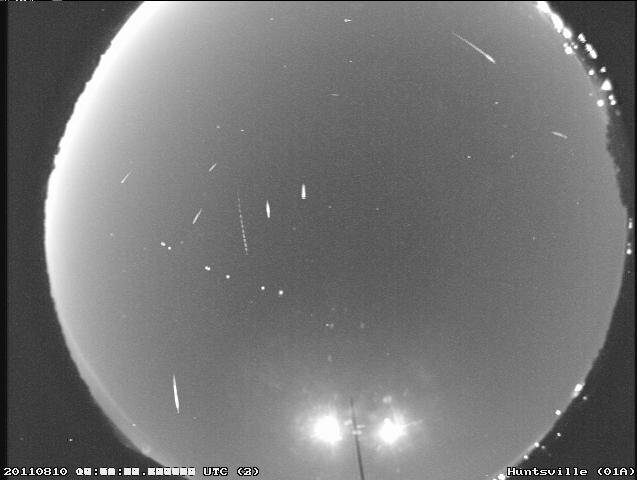 Tuesday night, the skies over Huntsville were filled with images of the Perseids meteor shower. This year, the Perseids shower will peak on August 12 and, weather permitting, it will be a sight you won’t want to miss.